Ever wondered what Strategic Volume Hiring is! Let’s start by first asking, what is hiring? One may say right person for the right job at the right place, well, marginally near. Sourcing being one of the most critical tasks of Talent Acquisition, let’s first understand more about it. When it comes to filling a job position, there is an old adage about the two ways to source an aspirant – one is searching or finding a candidate through various tools and mediums and filling the position immediately and the other is farming, where one makes a relationship, builds a rapport with the aspirant in order to fill up the position. Farming takes more time as it requires cultivating a relationship, lots of ground work and eventually more time to fill the position. 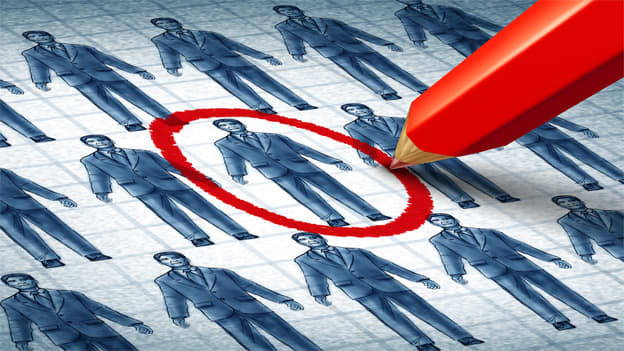 It is a good way to create a talent pool but it will be of less benefit if a position needs to be filled immediately. In the times of an improving economy, for the organizations planning to scale up, recruiting will certainly play an important role and hence, sourcing talent will also be of much importance in identifying success. It has been observed that in most cases there is a difference between the aspirant’s understanding of eligibility and what the employers are expecting out of them. For example, aspirants may feel their education, experience, skill relevance and interests will be looked at as criteria’s for selection while the employers might be more interested in the aspirant’s attitude, team spirit, skill knowledge and aptitude. Matching up and then identifying the right fit takes a lot of effort and a practical outlook. In the olden days – when it was about office responsibilities like maintaining records, time keeping, maintaining files etc. and there was no internet or computers – personnel used to maintain files and hard copies of resume. Employers used to advertise in print media for the jobs. Imagine the hard work that used to go behind finding a matching resume from the pile. Today, technology has changed the face of recruitment which itself is now emerging as a billion dollar industry. Stop being reactive and start being proactive. If you are aware that a certain project gives “X” number of requirements then build a healthy pipeline for a particular skill. There are 3 metrics that are used to do proactive hiring. A) Historical metrics-based on previous year’s data B) Real-time metrics based on recent month, quarter or current data C) Predictive metrics – it predicts upcoming recruiting opportunities (which is seldom used in recruitment). Strategize your staffing needs by having periodic meetings with the Account Managers / Project Managers. Work on weekday / Weekend panel availability etc. rather give a plan to the Hiring Manager to fulfill the demands in stipulated time. Simplify your hiring process. Do not show each and every profile to panels for screening. Example: You know the basic criteria; schedule them as per availability, needless to say not to compromise on the quality. Sourcing will play a key role here and your experience on hiring particular technology. Define your goals very effectively with the Hiring Manager, which will prevent miscommunication and errors. Set realistic expectations with your Hiring Manager. Follow a team based approach rather than individualistic approach. Have a focused group of recruiters/contractors and allocate work accordingly. Try and prepare a questionnaire from the project team and do the basic checks efficiently for candidates. If the crowd is more than anticipated, then you might design a Written Test as a filter. On the day of the interview, address the crowd on periodic intervals, this way candidates will not lose interest. Prepare a company Handbook/snapshot which can be circulated during their waiting time. Move your sourcing desk far from your interview area. If there is not enough capacity for seating the candidates; put a temporary stop to the screening activity. This way your screened and unscreened candidates will not be at the same place. Sensitize panels before the Drive so that the goal is clear. Try to have a call with the project team to understand the pulse and put your points precisely. One needs to put timelines to various sources sending profiles to your inbox. Example: For a weekend drive, Thursday morning itself the sourcing should stop and you should focus on scrutinizing and the initial checking on the resumes received. Make your panels gather at one place on the interview day and brief them about the process. Process could be that you/your team would give resumes to them and they can call the candidates one by one directly in their cabin. If a candidate is selected, then make him wait else ask him to leave for the day (HR would get back). If on hold, then discuss with the HR SPOC. Try and automate your process by doing written Test, GD etc. or by using any ERP. That itself is a separate topic to discuss at length on which ERP to use. Dhaval Upadhyay progressive experience in all the facets of Talent Acquisition, worked with CMMI level 5 organizations.